Anvil Publishing, Philippine Daily Inquirer and National Bookstore hold an essay writing contest with the theme, "If Rizal were a blogger, what would he have blogged about?" 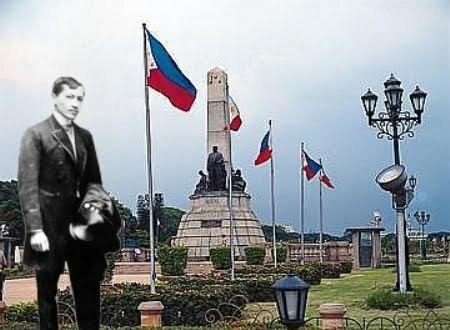 This is still in conjunction with Rizal's 150th birthday celebration. But winning entries will be published in the Inquirer beginning December 30, 2011 (Rizal Day) forward. The contest is open to all Filipino students 14 to 18 years of age attending public or private high schools in the Philippines. a) Personally research about the experiences and works of Jose Rizal as a novelist and journalist. 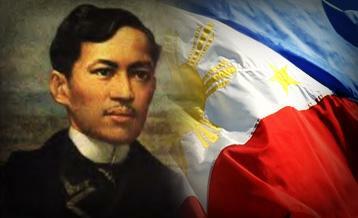 b) Write an essay with at least 800 words entitled: If Rizal were a blogger, what would he have blogged about? 2. Each entry should be an original, unpublished, logical, cohesive, and fluently developed essay written by one student. The student must write about the issues and concerns of Rizal during his time. A student may submit only one entry. 3. Each manuscript should be typed or computer-printed on plain, white, letter-size paper. Pages must be numbered consecutively and double-spaced with writing only on one side and with no more than 12 characters per inch or no smaller than a 10-point type. The total word count must appear at the end of the essay. 4. Each entry should be accompanied by a fully accomplished entry form cut out from the Inquirer’s Learning Section (photocopies not acceptable) and glued on a sheet of paper that serves as cover. c) a certification from the school principal that the entrant is a full-fledged student of the high school. Only one student can win per school. 6. To ensure impartial judging, there should be no name or other identifying information on any page other than on the cover page. 7. All pages of the essay must be stapled on the upper lefthand corner with the cover page first. 10. Entries must be received not later than 4 p.m. of August 5, 2011. Entries received after this date will not be included in the judging. Neither Anvil nor PDI may be held accountable for entries sent by mail or courier service not received by said time and date. 12. Receipt of entries may be verified at telephone number (632) 477-4217 or by email anvilpublishing@yahoo.com. 13. The finalists agree to fulfill additional requirements in the final stage that may become necessary to be able to determine the winner. The teacher/adviser of each of the three winners will receive 1,000 pesos worth of National Book Store gift certificates and 3,000 pesos worth of Anvil books. No alternative prizes will be awarded. Prizes are not convertible to cash. Winners will be announced on the first week of September 2011 and will be notified by mail, email or telephone. After proper verification of the identities of the winners, prizes shall be awarded on September 14, 2011 at the Manila International Book Fair. Winning essays will be published in part or in full one at a time in the Learning Section of PDI beginning Monday, December 26, 2011 in commemoration of Rizal Day. Anvil Publishing reserves the right to publish all the entries in a printed book or electronic /digital format and/or include them in future anthologies. All employees of Anvil Publishing, National Book Store, and Philippine Daily Inquirer, their advertising agencies and their relatives up to second degree of consanguinity or affinity are not allowed to participate in the contest. For more information about the contest, call Anvil Publishing Marketing Department, telephone number (632) 4774752 or 55 local 807 or email anvilpublishing@yahoo.com or log on to www.anvilpublishing.com.